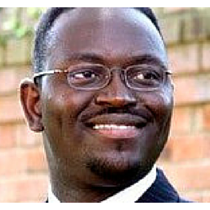 The funeral for Pastor and South Carolina State Senator Clementa Pinckney will take place Friday afternoon. He was one of the nine victims of last week’s shooting massacre at Emanuel AME Church in Charleston. 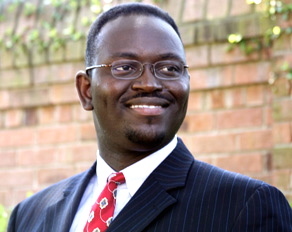 Clementa Carlos “Clem” Pinckney (July 30, 1973 – June 17, 2015) was a American State Senator and Democratic member of the South Carolina Senate, representing the 45th District since 2000. He was previously a member of the South Carolina House of Representatives from 1997 through 2000. 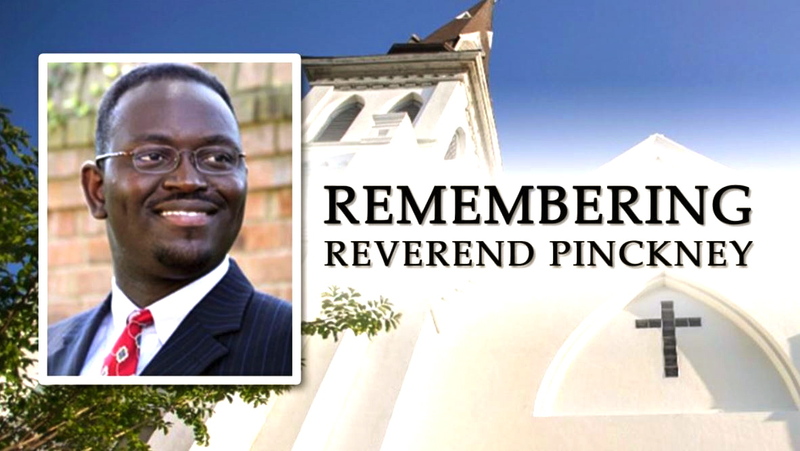 Pinckney was a senior pastor at Mother Emanuel A.M.E. in Charleston. 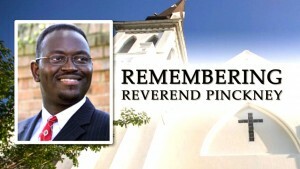 On June 17, 2015, Pinckney was murdered in a mass shooting at an evening Bible study at his church. President Obama delivered the eulogy at the memorial in honor of Reverend Pinckney. Pinckney was born in Beaufort, South Carolina, the son of Theopia Stevenson Aikens (née Brooms; 1945–2005), an early childhood development educator, and John Pinckney, auto mechanic. He began preaching at his church at age 13 and, by age 18, was appointed pastor. Pinckney’s mother’s family, the Stevenson family, has many generations of pastors in the African Methodist Episcopal Church. A maternal great-grandfather, Reverend Lorenzo Stevenson, brought a lawsuit against the state Democratic Party to end unintegrated primaries. During the Civil Rights movement, an uncle named Reverend Levern Stevenson worked with the NAACP to desegregate school buses, and sued Gov. John C. West to create single-member districts to help elect more blacks into the South Carolina General Assembly. Pinckney’s father’s family, the Pinckney family, based in the Beaufort, South Carolina area could possibly be descendants of slaves owned by Charles Cotesworth Pinckney, who was instrumental in framing the United States Constitution. The Pinckney Island National Wildlife Refuge is where the plantation was located. Pinckney went to Jasper County High school. He graduated with a Bachelor of Arts degree from Allen University in 1995 and went on to obtain a Master of Public Administration degree from the University of South Carolina in 1999. He then obtained a Master of Divinity degree from Lutheran Theological Southern Seminary. 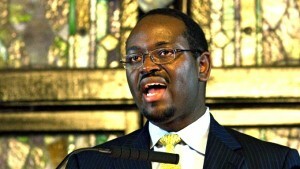 Pinckney was a student at Wesley Theological Seminary pursuing a Doctor of Ministry degree. Pinckney preached in Beaufort, Charleston and Columbia. He became pastor of Emanuel A.M.E. Church in Charleston, South Carolina in 2010. 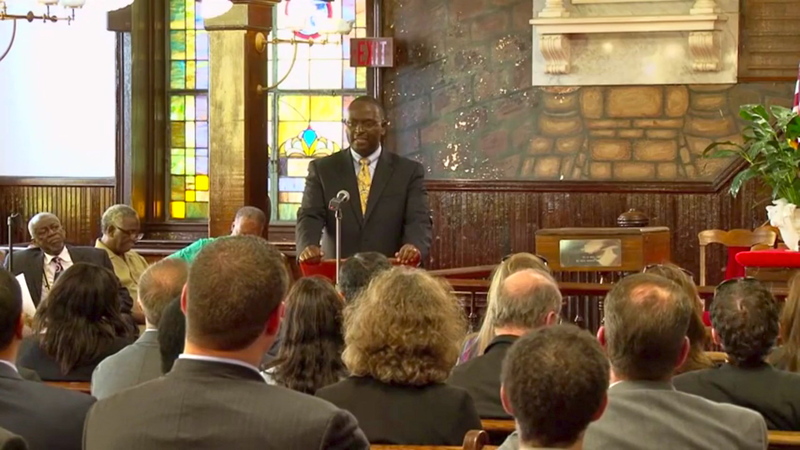 In his leadership position at Mother Emanuel, Pinckney followed in the footsteps of Reverend Richard H. Cain and other AME church leaders, continuing a tradition of religious leaders serving in political positions with a focus on political activism in service to his community. Pinckney said he felt a deep connection between serving his community in politics in complement to his ministry work. Historian Henry Louis Gates, Jr. featured Pinckney in interviews for his award-winning PBS series The African Americans: Many Rivers to Cross. 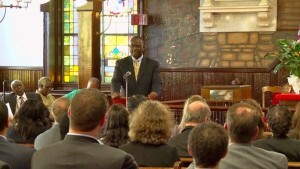 Pinckney was among several South Carolina pastors to hold rallies after the shooting of Walter Scott in 2015, attracting some local controversy. Pinckney was first elected to the South Carolina General Assembly in 1996 at the age of 23, becoming the youngest African American elected as a South Carolina state legislator. He served in the South Carolina House of Representatives until being elected to the South Carolina Senate in 2000. Pinckney represented Allendale, Beaufort, Charleston, Colleton, Hampton, and Jasper Counties in South Carolina. At the time of his death, he was on the following Committees: Banking and Insurance, Corrections and Penology, Education, Finance, and Medical Affairs. As a state senator, Pinckney pushed for laws to require police and other law enforcement officials to wear body cameras after Walter Scott, an unarmed black man, was shot eight times in the back by a police officer in North Charleston. Pinckney spent the earlier part of his last day, June 17, 2015, campaigning with Democratic presidential candidate Hillary Clinton in Charleston. That evening, he led a Bible study and prayer session at Emanuel African Methodist Episcopal Church, where he was senior pastor. 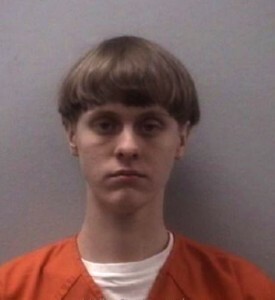 A 21-year-old shooter (Dylann Roof) opened fire on the congregation, killing Pinckney and eight others. While the FBI investigated the mass shooting as a hate crime, many others considered the attack a racially motivated act of terrorism, and criticized law enforcement and the media for not labeling it as such. On June 24, 2015, there was a public viewing of Pinckney’s casket in the rotunda lobby of the Statehouse Capitol Senate Chamber where Pinckney served in the South Carolina legislature, and where his body will lie in state. Public viewings were held at St. John AME Church in Ridgeland, South Carolina and Mother Emanuel in Charleston, South Carolina. A funeral was held on June 26, 2015 at the College of Charleston in TD Arena, which was filled to capacity, necessitating a viewing center with a video feed at the Charleston Museum. President Barack Obama, Michelle Obama, Vice President Joe Biden, and Jill Biden attended, with President Obama giving the eulogy. During the eulogy President Obama sang the opening line of “Amazing Grace.” Various national lawmakers (John A. Boehner, Steve Scalise, G.K. Butterfield, Xavier Becerra, Chris Van Hollen, John Lewis, Elijah E. Cummings, David E. Price), arriving with President Obama on Air Force One. Politicians (Hillary Clinton, Al Sharpton, Jesse Jackson) also attended.